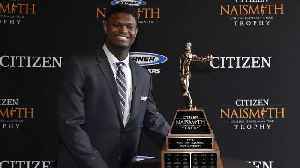 Zion Lateef Williamson is an American college basketball player for the Duke Blue Devils of the Atlantic Coast Conference (ACC). 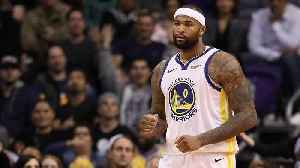 Listed at 6 ft 7 in (2.01 m) and 285 pounds (129 kg), he plays the small forward and power forward positions. 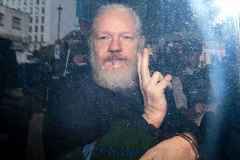 According to many sports analysts, he is projected to be the first overall pick in the 2019 NBA draft. 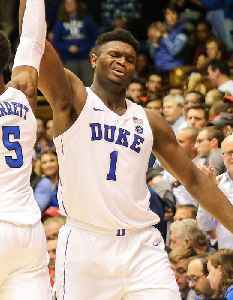 Zion Williamson is widely expected to be the No. 1 pick in the NBA draft. According to a report, before the draft, sneaker companies could engage in a massive bidding war for Williamson. 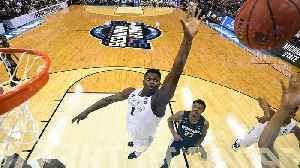 It's unclear..
Duke star Zion Williamson scored 32 points and grabbed 11 rebounds as Duke did just enough to advance to the Sweet 16. SI College Basketball Insider Jon Rothstein weighs in on the potential No. 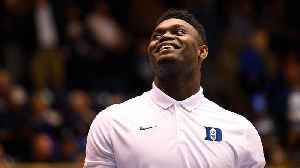 1..
Zion Williamson is 18 years old, and has appeared in a grand total of 29 college basketball games before the March Madness 2019 tournament. 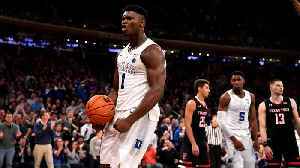 That's been more than enough playing time for the insanely..
Duke's Zion Williamson has been the most impressive college basketball player all year and is the presumptive No. 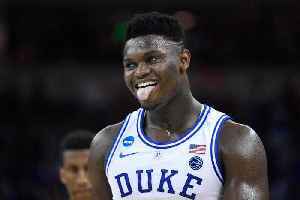 1 pick in June's NBA Draft, but is he really head and shoulders better than the rest of..
Did Zion Williamson's Absence Actually Help Duke? 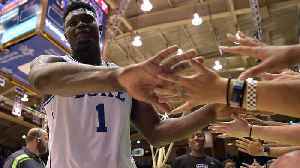 In five games without Zion Williamson, Duke lost twice and looked like a much different team. 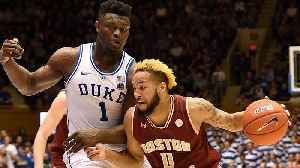 But former Blue Devil guard and NBA champion Dahntay Jones believes that the team will actually perform..
Duke star Zion WIlliamson will return to action on Thursday in the Blue Devils' ACC Tournament opener. 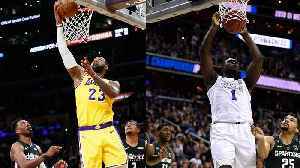 Williamson's high school coach, Lee Sartor, joins SI Now to discuss if it's valuable for the..
R.J. Barrett and Zion Williamson are both projected to be taken in the top five of the 2019 NBA draft. 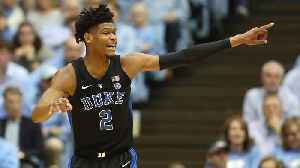 Barrett’s high school coach, Kevin Boyle, joins SI Now to discuss why his former player might be..
Did Cam Reddish Make the Right Decision Going to Duke? With so much hype surrounding Zion WIlliamson and RJ Barrett, Cam Reddish can sometimes be the forgotten member of Duke's stellar freshman class. 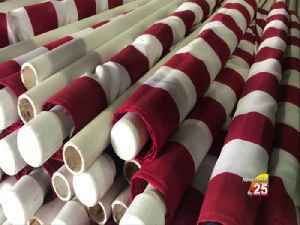 However, Reddish's high school coach, Seth Berger,..
UNC and Virginia split the ACC regular season title, but how much will that matter going forward? 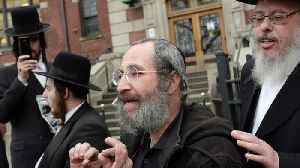 SI College Basketball Insider Jon Rothstein says that despite a No. 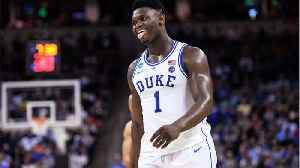 3 seed in the ACC tournament, the..
Should Zion Williamson's recent absence hurt his award candidacy? 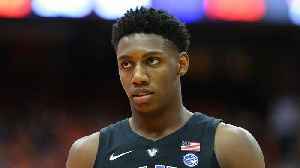 SI College Basketball Insider Jon Rothstein says that despite Williamson's knee injury, the Duke star is a clear-cut choice for..
NBA Mock Draft 4.0: Is RJ Barrett a Shoo-In for the No. 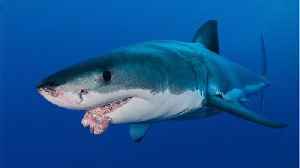 2 Pick? 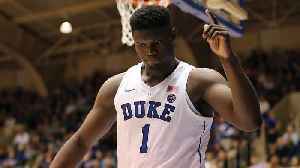 Duke freshmen RJ Barrett and Cam Reddish have been trying to fill the void left by Zion Williamson's injury, which has affected NBA Draft boards in addition to ACC standings. The Crossover's Jeremy Woo.. 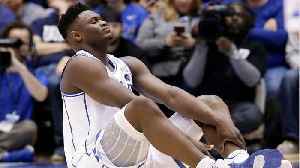 Despite missing an injured Zion Williamson, and despite seeing Cam Reddish and Tre Jones shoot a combined 4-23 from the field, Duke dispatched Syracuse in the Carrier Dome and reconfirmed just how good..
Paul George says he spoke with Nike following Zion Williamson's shoe malfunction on Wednesday night against North Carolina. 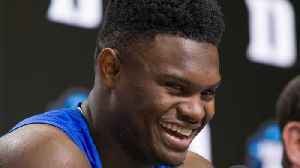 Nike shares fell one day after a sneaker worn by emerging basketball star Zion Williamson split in half 33 seconds into a hotly anticipated game. 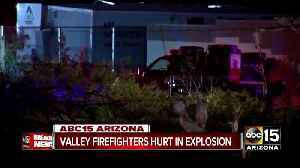 Fred Katayama reports. 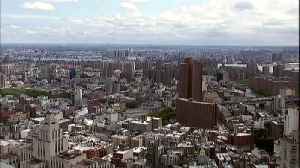 Weak economic reports pressured U.S. stocks on Thursday after the market's recent run of gains, and a drop in healthcare shares added to the bearish momentum. 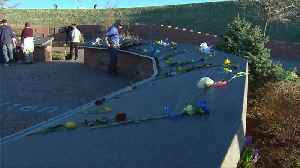 Fred Katayama reports.